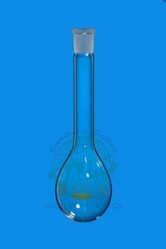 Our company is involved in designing an extensive array of Laboratory Glassware. 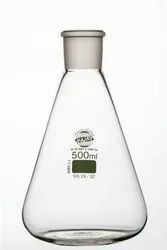 The comprehensive array includes General glassware, Volumetric Flasks and Glass Funnel. Laboratory glassware is widely used during the clinical, biological and physical examination of objects such as blood samples, plant cells, chemical powder and others. We offer our laboratory Glassware in varied sizes and shapes to meet the specified requirements of Lab scientists and researchers. Our all laboratory appliances are acknowledged for the features like dimensional accuracy, light weight and superior designs. 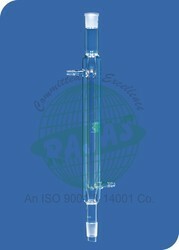 Rajas is manufacturering Graduated, heat resistant borosilicate glass with Narrow and wide opening elemenyer flask from borosilicate 3.3 material. Ideal vessels for Diffrent laboratory use. Sizes available 50 ml,100ml, 250ml, 500ml, 1000ml, 2000ml following DIN standards as drawing. 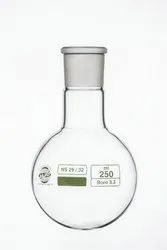 Flat Bottom Flask Made From Borosilicate glass 3.3 Clear Glass. 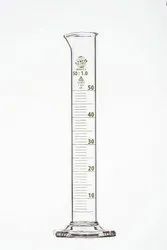 Capacity from 10 Ml to 10000 ml as per DIN and ASTM standard with Ground Joint from NS 14/23 to NS 45/50. Erlenmeyer Flask Grounded Neck made from Borosilicate 3.3 Glass Clear and Amber glass. Capacity from 50ml to 5000 ml. Available in various NS start from 14/23 to 45/50 depending upon the capacity.Ground Joint Neck with Fine polishing scale Printing. 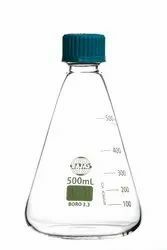 Flask Erlenmeyer Screw PP Cap with liner as per DIN standard available in 50 ML TO 5000 ML. Graduated with Scale. 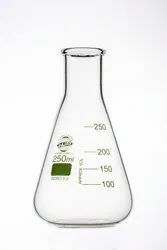 Our company is widely appreciated in offering Beakers Glass to the clients. Beakers Glass is widely demanded in both residential as well as commercial sector and is tremendously used in various places by the clients. Offered range is designed under the strict guidance of adept professionals by making use of topnotch quality metal and the latest techniques. This product is available in a wide range of sizes and designs as per the needs. Offered range is provided by professionals and is appreciated for characteristics like excellent design, elegant finish and accurate dimensions. with PP cap and Scale. 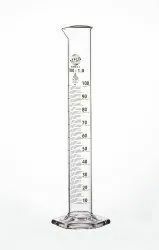 Rajas Offers Graduated Hexa Base Measuring Cylinder made available by us in option of different finishes as well as in all kinds of glassware option as per defined industry standards. 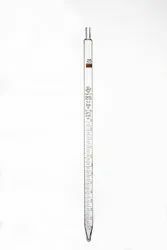 Further, these come developed using boro 3.3 glass and can be made available in size options of 5ml with error variation of ±0.05; 10ml with error variation of ±0.1; 25ml with error variation of ±0.25; 50ml with error variation of ±0.25; 100ml with error variation of ±0.5; 250ml with error variation of ±1.0 and others up to 2000 ml. We can offer these as per industry standards like DIN/ISO/ASTM and with glass hexagonal base and spout with graduations. Liebig Condensers glass & P.P. Side arm as per DIN standard 12576 made from borosilicate glass 3.3 (Supplied with either glass or polypropylene side arm which has screw thread connector for easy fitting on the tubing. Available in various sizes. for more details ask catalouge. Coiled Condenser glass & P.P. Side arm as per DIN standard 12592 made from borosilicate glass 3.3 (Supplied with either glass or polypropylene side arm which has screw thread connector foreasy fitting on the tubing. available in various size, for more details please ask catalouge.